CARE for the Cape & Islands™ was founded in 2012 as the Cape and Islands’ first travelers’ philanthropy initiative. As a travelers’ philanthropy initiative, CARE seeks to encourage, support, and create opportunities for visitors to donate their “time, talent, and treasure” to help preserve and protect the very things they travel here to see and enjoy: exquisite natural beauty, plant and wildlife habitats, Cape & Islands culture and history. Why Cape Cod and the Islands? 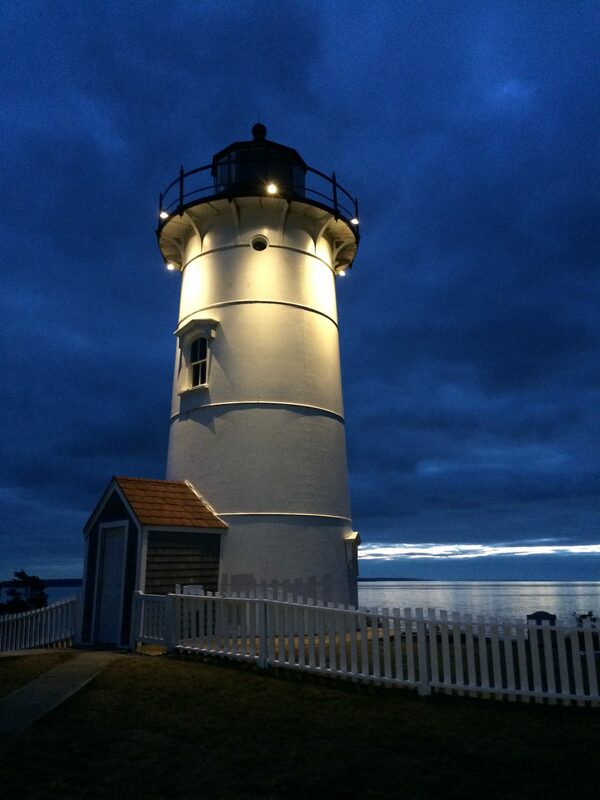 Cape Cod and the Islands’ scenic beauty and pristine coastline are enjoyed and appreciated by millions of visitors each year, presenting a need to protect its unique qualities. This program will help sustain the region’s fragile ecosystem, culture and heritage that draw visitors and residents to vacation, work and live. Ultimately, CARE for the Cape & Islands™ seeks to tap travelers’ growing interest in and support of eco-tourism and green-travel, and their philanthropic inclinations to help ensure the long-term sustainability of the Cape & Islands as a national treasure and travel destination. CARE for the Cape & Islands educates and facilitates relationships among travelers, businesses, local organizations, environmental initiatives, and residents. Working with travel industry businesses, CARE creates opportunities for travelers to contribute to local efforts to promote long-term environmental conservation and cultural heritage preservation. Visit our project criteria page to learn about our funding themes and proposal guidelines. Download our CARE Profile. Jill received her Master in Tourism Administration with a concentration in Sustainable Destination Management from The George Washington University in 2011, earning the Dr. Philip Ogilvie Academic Excellence Award. In 2012 inspired by her work with the Center for Responsible Travel (CREST) at the third Travelers’ Philanthropy Conference in Costa Rica and her graduate internship; she founded CARE (Creating A Responsible Environment) for the Cape and Islands, to help connect visitors, residents and businesses with opportunities to support the long term sustainability of Cape Cod and the Islands of Nantucket and Martha’s Vineyard. Jill is an Adjunct Instructor at Cape Cod Community College, is co-Chair of the Yarmouth Recycling and Solid Waste Committee, Philanthropy Day of Cape Cod Committee member and an advocate to Refuse, Reduce, Reuse and Recycle. She is passionate about using green practices and works hard to educate her friends as well as the public on simple steps they may take to make a difference on a daily basis. She became a member of the Climate Reality Leadership Corps in 2015, trained by Al Gore in Toronto, ON. Samantha’s interests in responsible travel were sparked at a young age while traveling the country to art shows with her parents, who are professional potters, and two international trips with People to People International. She graduated from Missouri State University with a major in Entertainment Management and minors in Geotourism and International Management. Samantha holds a Master of Tourism Administration from the George Washington University, with a concentration in sustainable destination development. She is a strong advocate for sustaining and enhancing our world’s cultures and environments through travel, and using tourism as a mechanism for community empowerment. Samantha has worked with the American Society of Travel Agents, the National Tour Association, and the National Geographic Center for Sustainable Destinations, and is a trained Climate Reality Leader. Managing Partner for Wequassett Resort and Golf Club having held various positions such as CFO and General Manger for the Resort since 1986. Mark’s passion, vision and determination transformed the Wequassett into a world-class resort. Over the years, every feature and amenity of the resort was renovated or refined. Mark established a unique service culture based on customer intimacy that helped to set the resort apart and developed an innovative training program that inspires his staff in all aspects of the hospitality business with a focus on personal service. Most recently he has implemented a resort-wide sustainability initiative. He has also served on numerous boards and was recognized by the Massachusetts Lodging Association’s as Outstanding General Manager of the Year, and in 2003 Preferred Hotels nominated him as Hotelier of the Year. Co-Founder, Co-Owner and Vice President of Northeast Unlimited Tours, Inc. based in Sandwich, MA (Cape Cod). With 28 years of experience in the tourism industry, Michelle’s expertise in sales, marketing and product development enables her to successfully cultivate strong long-lasting client relationships by providing creative, unique and memorable tour packages along with unparalleled customer service. Her entrepreneurial drive and leadership has helped guide Northeast Unlimited Tours to become one of the Northeast’s leading Receptive Tour Operators. Sarah moved to the Cape in 1986, shortly after graduating from photography school. She is the owner/portrait photographer at The Studio by the Sea, in Hyannis. Over the years she has photographed hundreds of families, thousands of high school seniors and tens of thousands of school portraits. She has always been passionate about saving and protecting the environment, and is proud to be on the board of CARE. Mary relocated to Cape Cod in July of 2015 for the position of executive director for the Yarmouth Chamber of Commerce. She received her degree in Community Development and Organizing from the University of Massachusetts, Amherst. Over the past 15 years her experience includes, strategic planning, grant writing, program development, fiscal management, cultivation and coordination of strong public and private partnerships, budgeting, marketing, public relations, and oversight of economic development projects. She was responsible for developing and managing the 17th Cultural District Designation from the Massachusetts Cultural Council. In 2013 she became a film liaison, assisting the Massachusetts Film Office with two major film productions; Labor Day and The Judge. In 2014 I was the recipient of the Larry D Meehan Award from the Massachusetts Office of Travel & Tourism, honored for her success in leveraging tourism, the arts, and film production.